The symphonic poem “Vladimir Shukhov” performed by the Moscow symphony orchestra for children and youth (director Alexander Chuikov) will be premiered during the “Moscow autumn-2014” festival of contemporary composers on November 12 from 19:00 till 20:00 in the Moscow house of composers (Bryusov per., 8/10, str. 2). The symphonic poem is dedicated to the brilliant Russian engineer, architect and scientist Vladimir Shukhov (1853 – 1939), who managed to make real, it would seem, the fantastic ideas of his engineering mind. Among the unique Shukhov’s achievements of the universal importance is the creation of a hyperboloid constructional design that has become the foundation for the avant-garde questing of the XXI century world’s most reputed architects. The delight evoked by the personality of the scientist-demiurge has inspired the creation of this symphonic poem where the violin is vested with a peculiar role of a lyrical “Me” of the hero of this piece of work – his afflatuses, throes of creation, downfalls but the unvaried faith in the miracle of scientific achievements that are able to fulfill the most unrealistic expectations of a man. The composition with continuity arises from the leading-motives of the themes at pianissimo and grows into two high-power culminating points: first – as the very picture of the tower erection, second – levitation of the hero’s spirit. 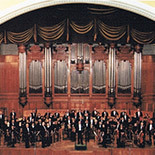 The creator of the symphonic poem is the composer Chechyotko Sergey Mikhailovich (www.chechetko.com) – laureate of the Esenin contest of composers, contest named after Yu. Shishakov, 3-rd harp contest-festival. He is the member of the commonwealth of composers of France (2006, SACEM). 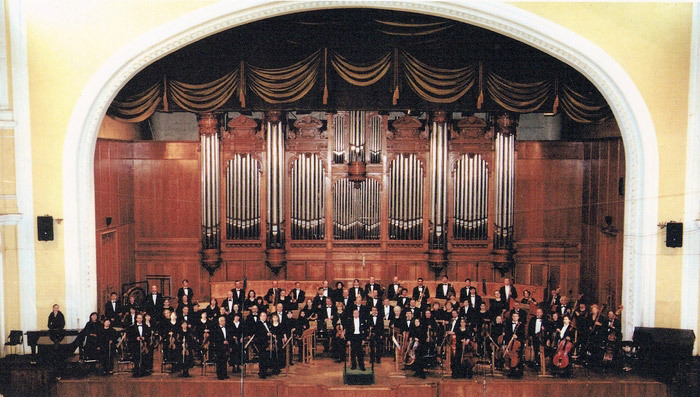 From 1998 the composer and pianist has been working in the “Helicon-opera” theater. He performed on tour in the USA, France, Finland, Hungary, Poland, Spain, Italy, Great Britain, Estonia, Latvia, Lithuania, Lebanon, China, South Korea, and other countries. Directions: metro stations "Okhotnyi Ryad", "Pushkinskaya", "Chekhovskaya"